Diners Club International is a charge card company that provides credit cards for personal, business, and corporate use. If you’re considering a Diners Club credit card, then have a quick look at what’s available in the table below for frequent flyer credit cards, based on a monthly spend of $5,000. 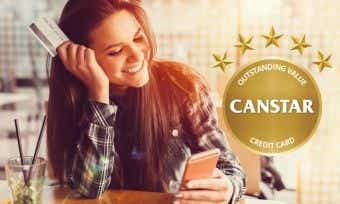 The Diners Club Qantas Frequent Flyer credit card was awarded a 5-star rating in Canstar’s 2017 Credit Card star ratings. Are Diners Club cards charge cards or credit cards? The cards available from Diners Club for individuals are charge cards, which are different from credit cards. Charge cards have no pre-set spending limit (credit limit), and you don’t get charged any interest if you pay your account in full within the time limit from when the date your statement is issued. All payments made on either the Diners Club or the MasterCard card are charged to the one charge account. Check out our best tips on how to improve your credit rating or start comparing cards if you meet the eligibility criteria. Only Diners Club members can apply for a Diners Club charge card. If you meet the eligibility criteria for a card and have become a member, you can compare credit cards on the Canstar website and apply online on the Diners Club website for the card of your choice. Read our?checklist on applying for a credit card?for a more detailed explanation of how the process works. How do I activate my Diners Club card? Once your card application has been approved and you have received your card, you will need to activate the card before you can use it to make purchases. You can activate your Diners Club charge card using the mobile banking app or by logging into online banking. Can I manage my Diners Club card online? Yes, both the mobile banking app and MyDinersClub, the online banking portal, allow you to access your charge card account 24/7. Using online or mobile banking, you can view your next statement date, payment information, transaction history, balance and more. How is interest calculated on my Diners Club card? Charges are payable when you receive your account statement, and you have 14 days after the account issue date to pay (not 14 days from the statement due date). Interest is charged on purchases when you carry a balance on your Diners Club charge card beyond the statement due date and the interest-free period. With a Diners Club charge card, you won’t get charged any interest if you pay your account in full when your statement is issued. Up to 37 or 44 days interest-free are available from the date of the purchase to the date it must be paid, depending on which Diners Club card you hold. For more information about interest-free days on credit cards, check out our article on how they work. 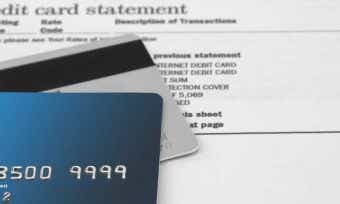 What will my credit limit be on my Diners Club card? There are no pre-set credit limits or spending limits on Diners Club’s charge cards. This is different to credit cards, which have set credit limits that are based on the lending risk the borrower presents. How does Diners Club’s complimentary travel insurance work? When you purchase your travel tickets using your Diners Club charge card, you are provided with a number of travel benefits, including complimentary travel insurance. Complimentary travel insurance is a popular feature among premium credit cards, and you can compare credit cards with complimentary travel insurance on the Canstar website. At the time of writing, Diners Club’s complimentary travel insurance covers you for up to 3 consecutive months of travel – domestic or international – in the event of injury, sickness, loss of personal belongings, and more. The cardholder’s immediate family may also be covered by this travel insurance. In addition to free travel insurance, cardholders also receive access to 450 luxury airport lounges worldwide. How do I close my Diners Club account? To close your Diners Club charge card account, use your online banking account or call Diners Club on 1300 360 060. Your card balance will need to be repaid in full even after the card is closed, and you will continue to receive monthly statements until your card balance is fully repaid. Diners Club is an established provider in the charge card and credit card space, having started in 1950 with the world’s first multi-purpose charge card. Co-founder Frank McNamara forgot his wallet while out to dinner with his wife. She paid, which was mortifying at the time, so when he returned a year later, he had a small cardboard card with which he paid. This event was later nicknamed “the first supper”. Within its first year, the “Diners’ Club” had grown to 10,000 members. Later, Diners Club would begin issuing credit cards as well, which could carry a balance and therefore did not have to be repaid in full every month, unlike charge cards. Diners Club is a part of the Citi group, which has been a presence in Australia for more than 25 years. As an elite provider of charge cards and other luxury services, Diners Club partners a number of distinctive events and organisations, most notably the Qatar Masters and the Diners Club International Pro-Am Classic golf tournaments. It is also the official sponsor of the World’s 50 Best Restaurants awards.